The average person spends 90,000 hours at work over a lifetime. As a result, it’s especially important to have clean air in the office. Toxic pollutants and allergens that get into the environment can make your employees sick and cost the company money due to lower productivity levels. Follow these office cleaning tips to keep the air clean and promote better health in the workplace. Filters prevent harmful pollutants, allergens, and debris from entering the air in your office. Change your filter at least once every three months to ensure they don’t get clogged. However, if your office is a high-traffic space or in a polluted area, you may need to change the filters even more frequently. Your HVAC system can be a source of pollutants if there is uncontrolled moisture in the air ducts or if bacteria from stagnant water in drip pans gets into the air. Dehumidifiers can help reduce the risk of air contamination. Also, make sure your HVAC system is inspected at least once every season to ensure it isn’t releasing any toxins into the air. Pollutants and allergens don’t only get into your air through filters; they also get tracked in from the carpets and surfaces. 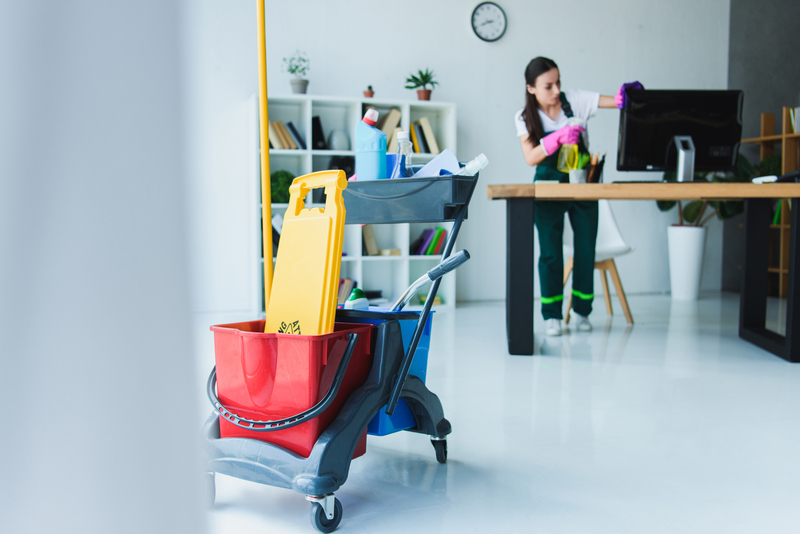 Professional office cleaning companies have specialized equipment and techniques that can eliminate toxins and significantly improve air quality. They will vacuum, remove any garbage, sanitize surfaces, and dust the entire office. Keep your office air clean and protect your air quality by contacting Maintenance One in Fairfield County, CT. Cleaning 3.5 million square feet of office space per day, their professional commercial cleaners know how to get the job done right. They are committed to coming on time and always giving 100%. Learn more about their services online, or call (203) 348-1700 to schedule an office cleaning today.